The Board prepares an Annual Report which highlights the key activities and accomplishments for the year. Play a key role in ensuring that the organization carries out its actions and activities in an acceptable manner. The Board operates under the oversight of the Police Services Division of the BC Ministry of Justice which is responsible for Police Boards and policing in BC. The Victoria and Esquimalt Police Board (Board) is responsible for providing police and law enforcement services for the municipalities of Esquimalt and Victoria. Barbara Desjardins ran for Mayor in 2008 and was acclaimed again in 2011 and 2014. Prior to this appointment, she served as an Esquimalt councillor from 2005 to 2008. In her current role, Mayor Desjardins serves as Co Chair of the Victoria and Esquimalt Police Board. She currently sits on the Capital Regional District Board and has been in the position of Chair of several committees of the CRD. 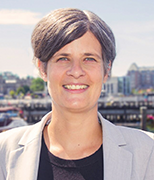 She serves on the Victoria Regional Transit Commission, and is Vice Chair of the Greater Victoria Labour Relations Board. 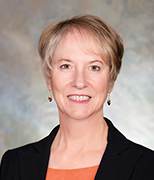 Mayor Desjardins also serves on the Greater Victoria Harbour Authority (GVHA) as Esquimalt Director, Vice Chair, Interim Chair, and is currently starting the position of Secretary and Chair of GVHA Governance Committee. Since 1990, Barb has owned and operated 3 physiotherapy clinics. She has been very active within her professional association throughout her 30 year career as a physiotherapist. In her career as a public servant Barb is guided by a couple of rules: 1) pay personal attention to issues and 2) be a visible and active participant in your community. Lisa Helps became the 52nd Mayor of Victoria when she was elected on November 15, 2014, and was sworn into office on December 4, 2014. Prior to being elected as Mayor, Lisa served as a Victoria City Councillor for one term, from 2011 to 2014. Lisa is known for having a huge heart, a wealth of experience, and a history of getting things done. Lisa has worked with people to create things (housing, organizations, businesses, newspapers, gardens) which enable people to thrive. She has collaborated with politicians, contractors, neighbours, people on the street, community associations and more to bring about positive change in the community. Mayor Helps is known for being generous, patient, firm, and focused. Lisa learns best by doing, and in conversation with people. She is thrilled to be at the Victoria City Council table and will bring her heart, experience and big-picture, long-term thinking (as a trained historian) to bear on all decisions. Brian Smith is a Lawyer and Public Policy Advisor with Growlings LLP as well Chief Federeal Treaty Negotiator with the Department of Indian Affairs. In the past, he was the Executive Chair for BC Hydro and CN Rail. In his community, Mr. Smith has been a Member of the Knights of St. John of Jerusalem for ten years and has served as Director and Chair for Tennis Canada. He holds his Bachelor of Laws and Bachelor of Arts from the University of British Columbia as well as his Masters from Queens University. Patti Stockton retired from the Public Service of British Columbia after more than 20 years in various senior positions, including Assistant Deputy Minister of Public Safety & Regulatory Programs with the Ministry of Attorney General. Since retirement, Patti has been active in the community, as a board member with the Victoria READ Society and the Together Against Poverty Society. She was also a docent at the Royal BC Museum, a security volunteer for the Tall Ships Society, and an ambassador for the Victoria Downtown Ambassadors. Currently she is 1st Vice President of the Trafalgar/ProPatria Branch of the Royal Canadian Legion. Sean Powell is currently the Principal at Ecole Lansdowne Middle School. He has been a teacher/administrator for 21 years, teaching in positions from Kindergarten to adult education in the communities of Saanich, Esquimalt and Victoria. He also owns a local company, Powell Investments Ltd., a building and development company, and previously had a supporting role in Via Solar Inc., which focused on installing alternative energy sources for residential homes. Active in his community, Mr. Powell has been a School Representative for the United Way and Cops for Cancer. He also coaches lacrosse and hockey in Victoria. Mr. Powell holds his Bachelor of Education and Masters in Leadership from the University of Victoria. Keven Elder grew up in the Cowichan Valley, lived his adult years in the Greater Victoria, and has been living in Esquimalt for three years. In September 2017 he established a consulting firm focusing on provision of Governance and Mediation services. Mr. Elder worked as a teacher, Vice Principal, Principal, Assistant Professor, and District Administrator before retiring in 2017 as Superintendent and CEO of School District 63 Saanich. His academic qualifications in Education to the doctoral level have been enhanced by the addition of certification in conflict resolution, mediation and negotiation from JIBC. Mr. Elder's board experience includes serving as Director, VP, and President of the BC School Superintendent Association (2006-2011). Current and past community involvement includes volunteering at various community events and school sports organizations and the Rotary Club of Campbell River. Evan Southern is the Director of Communications and Engagement for the Capital Regional District (CRD) Wastewater Treatment Project. Prior to this position, Mr. Southern worked for over seven years in the BC Provincial Government. His time in government included senior roles in the offices of the Minister of Justice and Attorney General and the Minister of Forests, Lands and Natural Resource Operations. Mr. Southern holds a Bachelor of Arts degree in Political Science from the University of Victoria.